Susanne Kaufmann comes from the Bregenzer Forest, a unique valley in the Alps. From an early age, she has always been fascinated by the idea of using the intensive effect of the Alpine plant world in a modern manner for beauty, health and comfort. Together with a team of pharmacists and dermatologists, she developed powerful results-oriented products for the applications in the Susanne Kaufmann spa Bezau from precious natural ingredients. The products are made with the greatest of care in small-scale batches in the Bregenzer Forest and filled, sealed and packaged by hand in glass jars. Susanne Kaufmann organic treats offers products for all skin types: the Facial Care Line T for dry skin and Line F for normal skin/combination skin, Line A for intensive, natural anti aging and Line M for men. We also offer hand and foot care, body care, baths, teas and the Essence Line, based upon traditional healing practices. 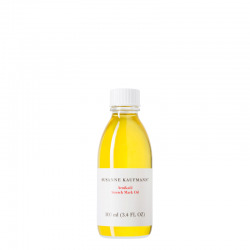 Susanne Kaufmann products are created from valuable natural essences, oils and single substances. The percentage of active plant ingredients is especially high. Energyrich oils such as rosehip seed oil and cuckoo flower oil serve as carriers. All ingredients have been specifically selected for their desired effect. For this, we use combinations of various plant materials that mutually supplement and enhance each other. These plant compounds provide a strong effect that can be felt immediately. The highest quality of ingredients, careful processing and years of experience with plant ingredients result in especially excellent compatibility. All ingredients are dermatologically tested and we use non-allergenic scents for fragrance. SUSANNE KAUFMANN There are 107 products.